JUKI draws a positive conclusion after the trade fair SMT Hybrid Packaging 2018. This year’s trade show presentation was dominated by intelligent networking. Visitors’ interest in this topic was noticeable. 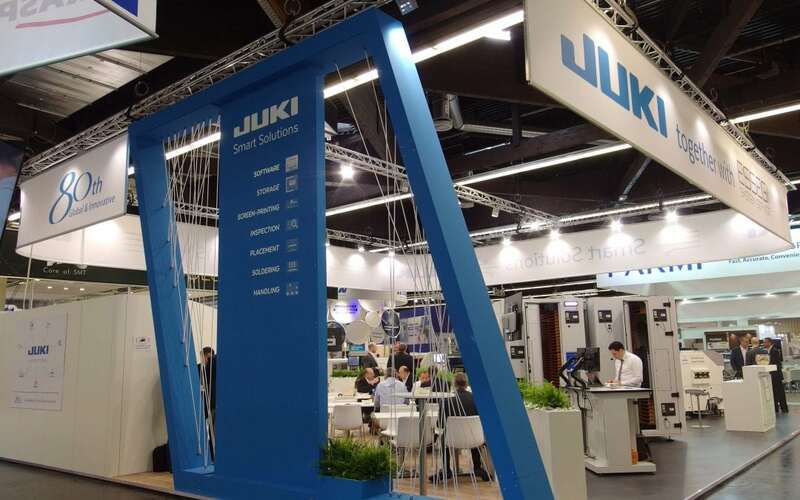 JUKI presented its Smart Solutions that deliver powerful, interconnected products which allow to be adapted to customer and market needs for best possible productivity, flexibility and efficiency. Also the new ISM UltraFlex 3900, an impressive storage management solution adding extremely more capability, met great interest. In combination with ISM UltraFlex 3600, a capacity of up to 7,500 pieces of 7’’ reels can be deployed on a small floor space.